Why choose Smilkat Glider Plane? With two copies of each design, kids can have a fleet of Y-wings and X-wings at their command. 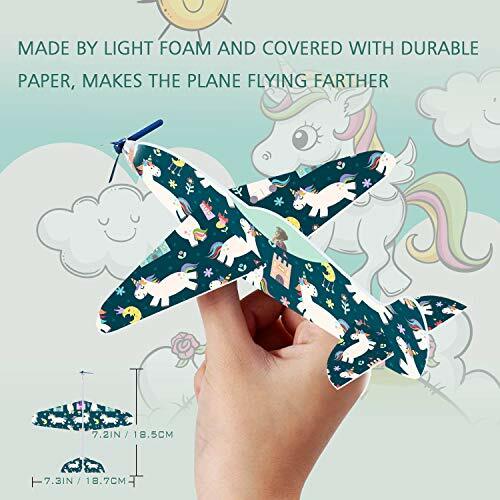 We used the new paper-covered foam, it is softer and stronger than others, can fly farther and avoid children breaking when they are installed. It can be safely indoors or outdoors, without harming children or hurting furniture. Comes with beautiful gift box packaging. You can use them for rewards or prizes, or give as stocking-stuffer or birthday presents . These plane toys help to improve the hand-eye coordination ability and operational ability of kids. Also, fantastic for decorations. they are very easy to hang from the ceiling since they are so lightweight; and they don’t need very strong tape, so the paint won’t come off!! Additionally, these will bring back great memories for all the adults in the room!! Easy to assemble, no glue required. Just give it a gentle throw, and see how high and how far these gliders will fly. 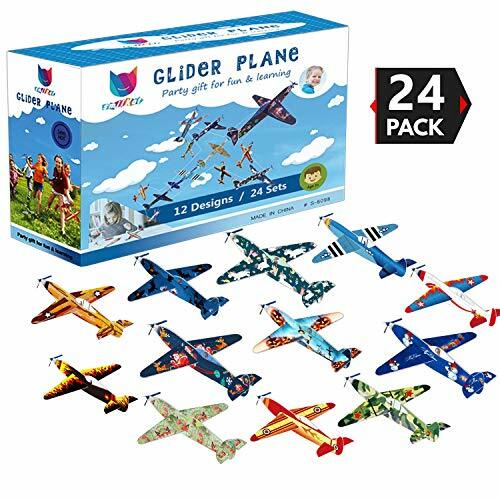 Glider airplane is a classic toy that most adults probably remember fondly from their childhood. Order today for some high-flying fun with your kids! 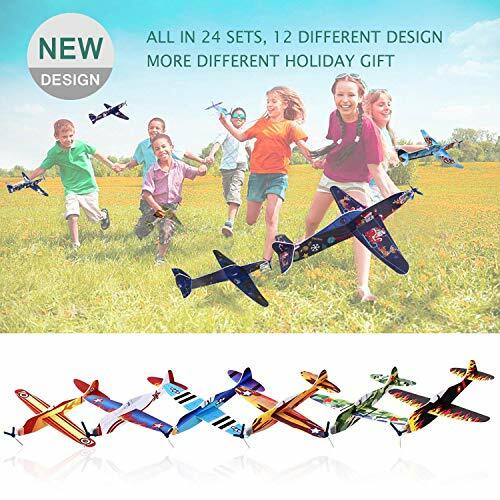 2019 New Design: The Most Design on the market, You get 12 different models of styrofoam airplane set from Smilkat, with 2 glider planes of each model, compare with similar airplanes, our style and design are the MOST and ONLY. Great Party Favor for Many Occasions: birthday giveaway, kids valentine’s day , party favors toys, party decoration, holiday/classroom/festival gift, behavior rewards, goodie bag toy, Christmas/Halloween, and entertainment for an entire family! 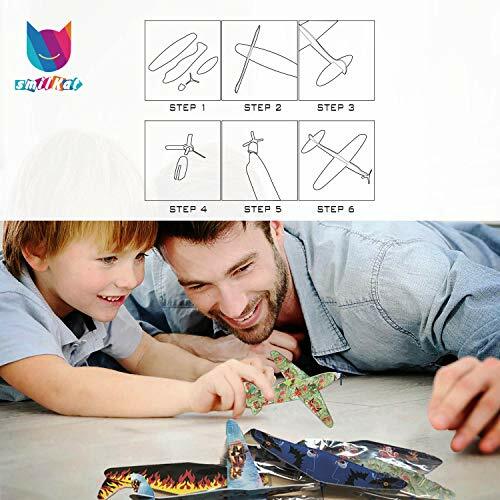 Both children and adult love playing with these flying planes! 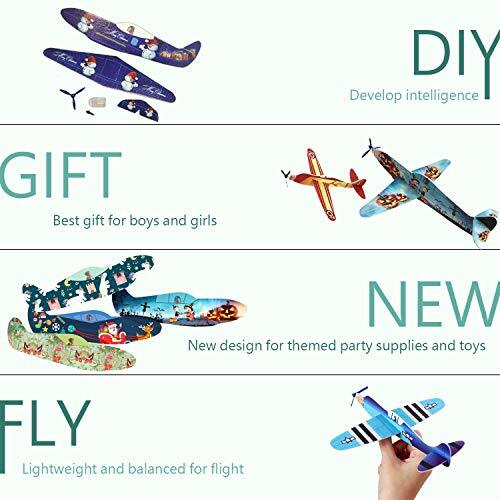 Exquisite Package: With each flying plane Set Being Packaged Individually, this is the ideal toy for a party favor supplies or goodie bag toy, it can be a perfect birthday gift! 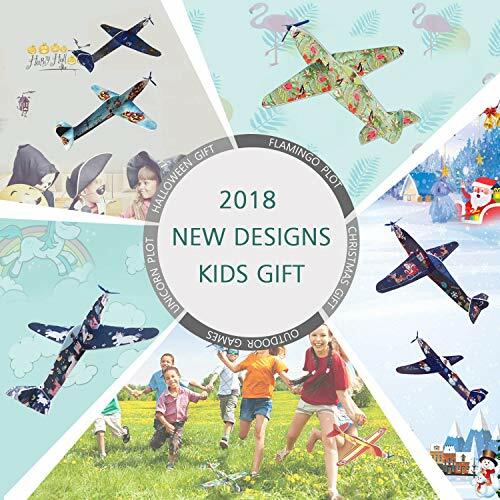 Farther Flying: These glider planes kits are made of high quality foam covered with paper, Non toxic and safe for use, which is durable and strong enough for long and farther flying, Especially great for outdoor parties. 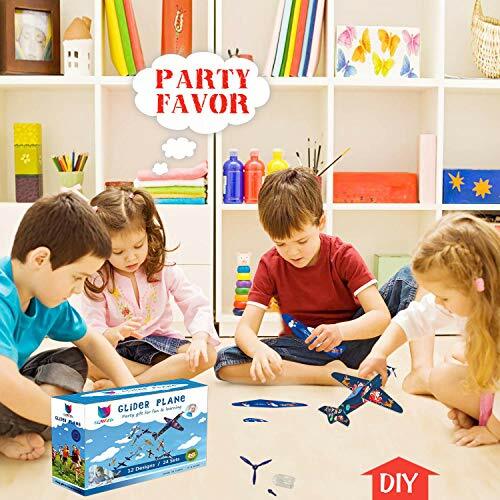 DIY and Decoration: The airplanes is Easy to Assemble, No glue required, not easy to fall off, ultimately easier for children to assemble, suit for airplane party favors.